Although my life and my blogging stint is still a work in progress. Words of inspiration like this makes me even more inspired to better myself and continue to grow. There are no small things in every work we do. Everything is a piece of a puzzle that won’t be complete without. 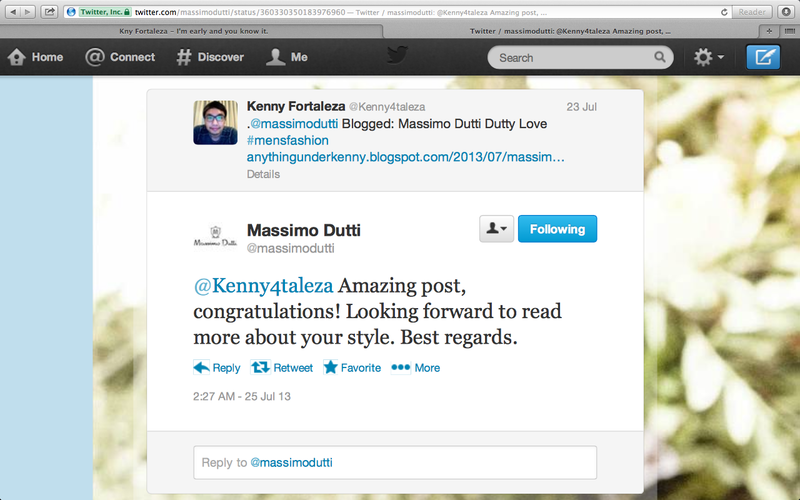 From my Massimo Dutti post last week, I got this tweet from Massimo Dutti. This definitely fuelled my passion to be better and move further.